Het feit dat Tianji niet eens kopers heeft kunnen vinden maakt het wel heel erg duidelijk dat er geen enkele toekomst in dit Chinese professionele sociale netwerk zit. Daar staat het rechts onderin, Tianji heeft op dit moment dus nog 25 miljoen ‘members’, maar liefst 2,5 keer meer dan het aantal ‘members’ van Viadeo in Frankrijk. Waar XING in de DACH-regio nog altijd krachtig weerwerk biedt aan de reus LinkedIn, lijkt Viadeo een ander lot beschoren. Want waar zowel LinkedIn als XING (sterk) groeiende omzetten laten zien, is er voor Viadeo niets positiefs te melden. In its ruling dated 29 November, the Paris Commercial Court (Tribunal de commerce de Paris) has placed Viadeo and its subsidiary APVO into receivership for a 3 months period. The objective with this receivership is to continue with the process to divest the company’s assets, which had already been launched on a confidential basis under the supervision of the President of the Paris Commercial Court, with assistance from Christophe Thevenot, court-appointed receiver. During the receivership process, the professional social network will remain fully operational for its customers and members. Viadeo has already received several offers to acquire its business and keep on a significant percentage of its employees under a divestment plan that will need to be approved by the Commercial Court. These offers have been made by financially sound buyers with recognized expertise in the online recruitment market. Subject to the buyers confirming the buyout offers needed to ensure Viadeo’s continuity of service for its customers and members, the Paris Commercial Court’s final ruling on its buyout is expected before the end of December. 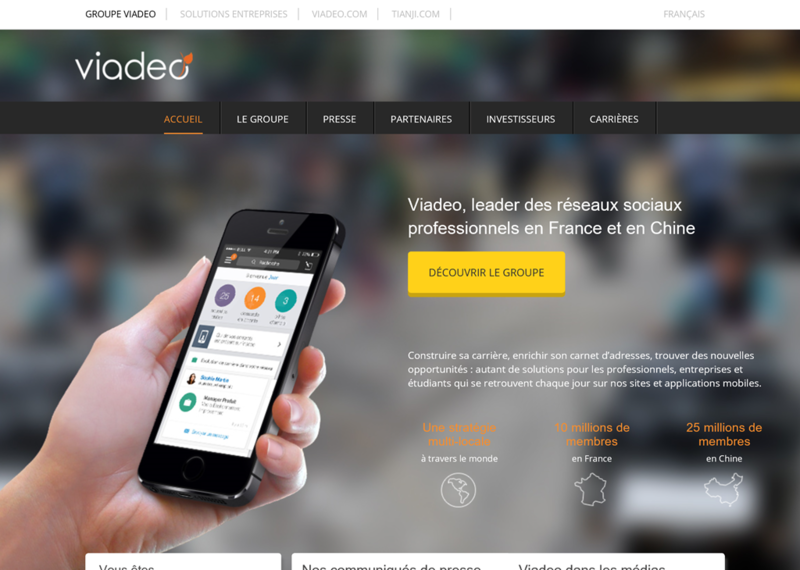 After the receivership process, the company Viadeo SA will be put into compulsory liquidation. The share trading will remain suspended. Therefore, Viadeo’s current shareholders should consider the value of their shares nil.